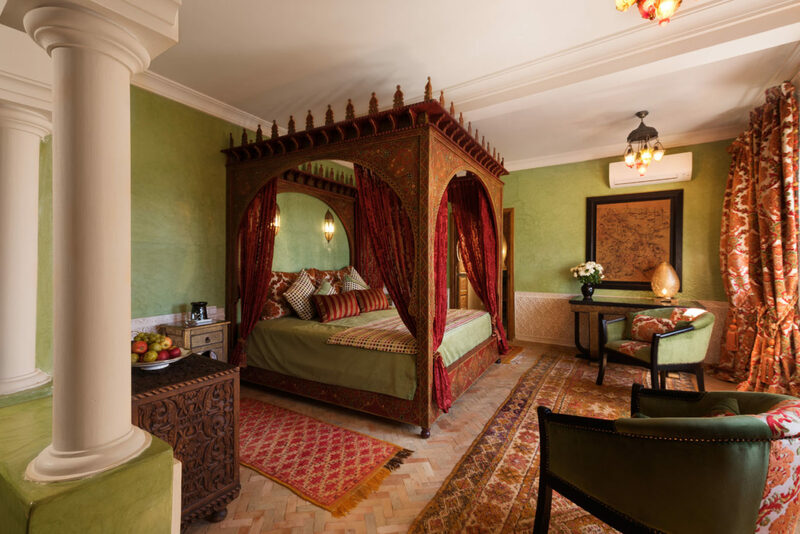 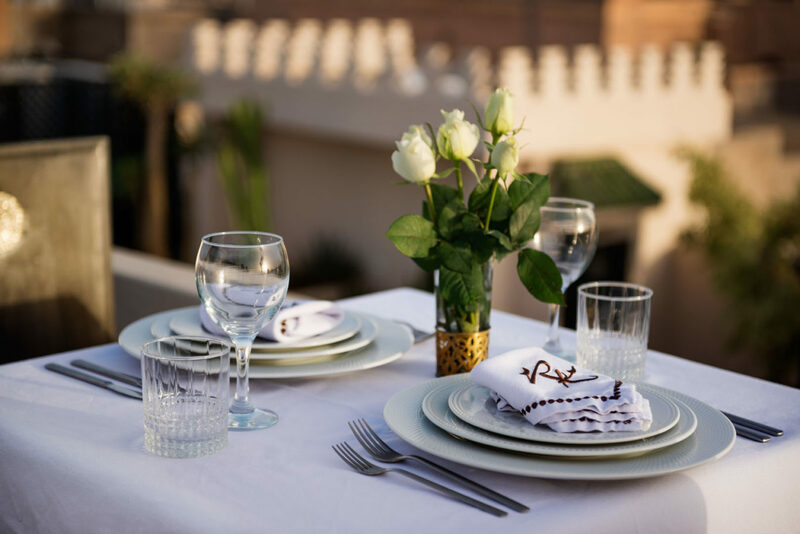 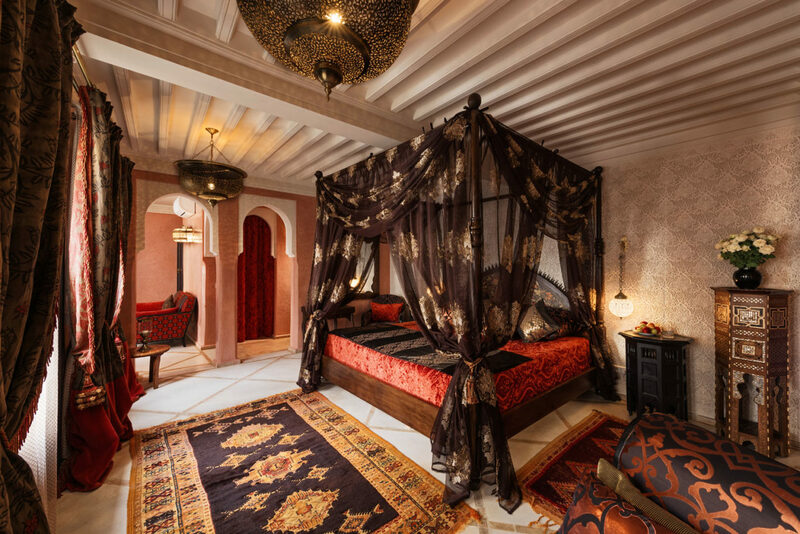 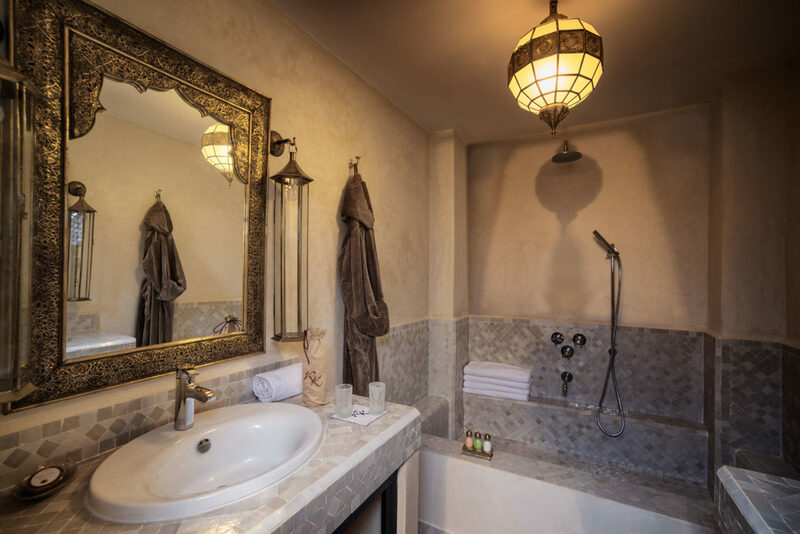 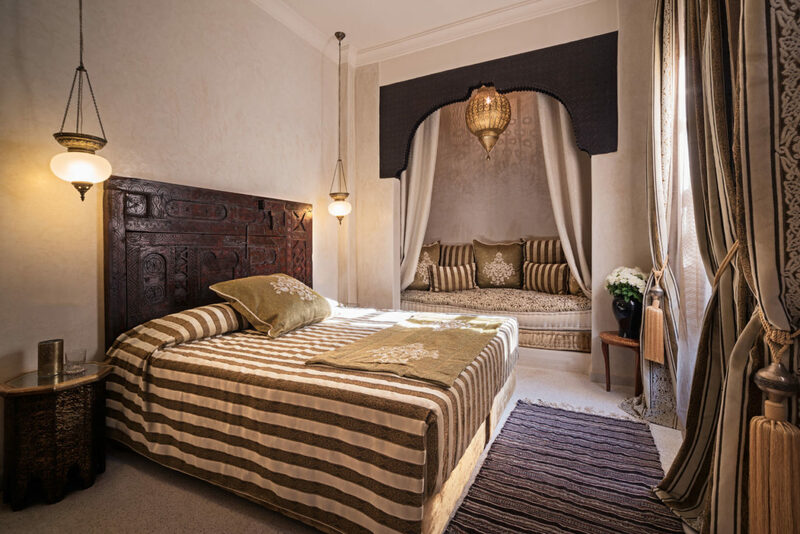 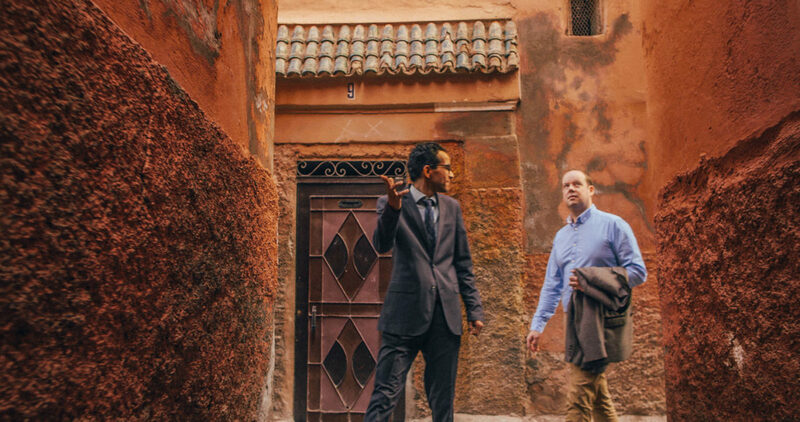 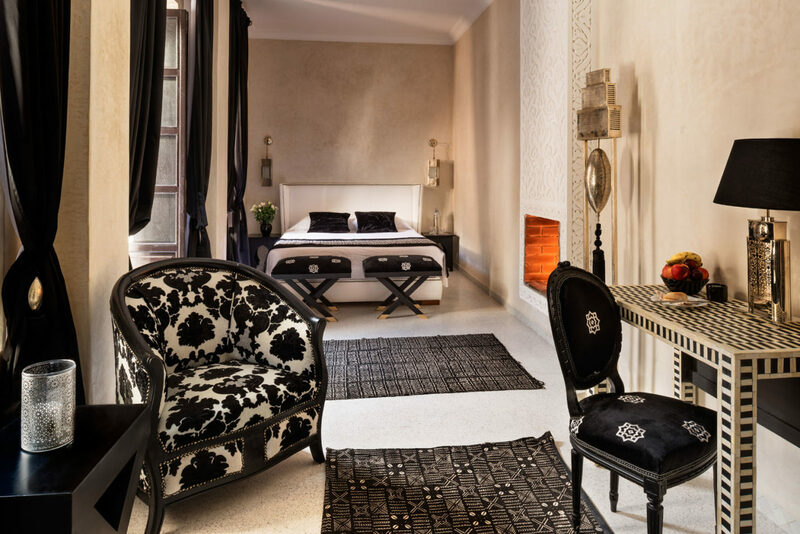 Stay in sumptuous luxury at Riad Kheirredine. 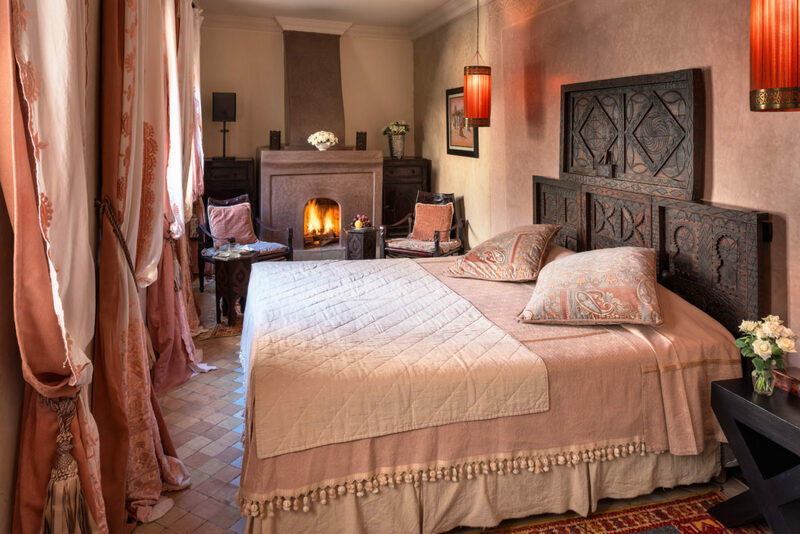 Each room is a unique fusion of Moroccan and Italian contemporary style, providing the ultimate in comfort and relaxation. 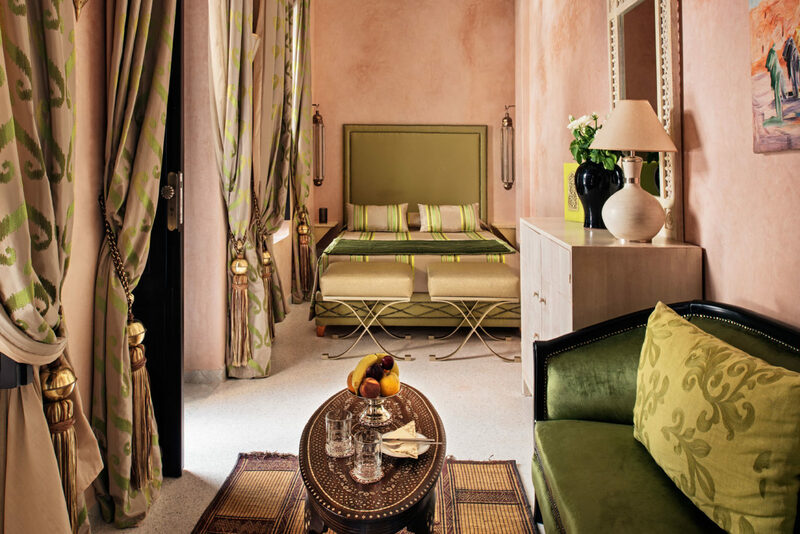 No two rooms are the same, with large luxury beds draped with crisp linen and spacious living areas to unwind in. 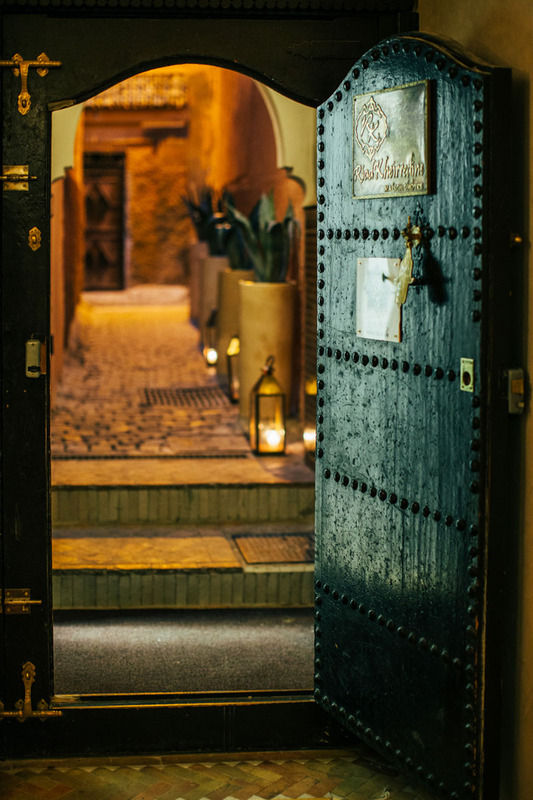 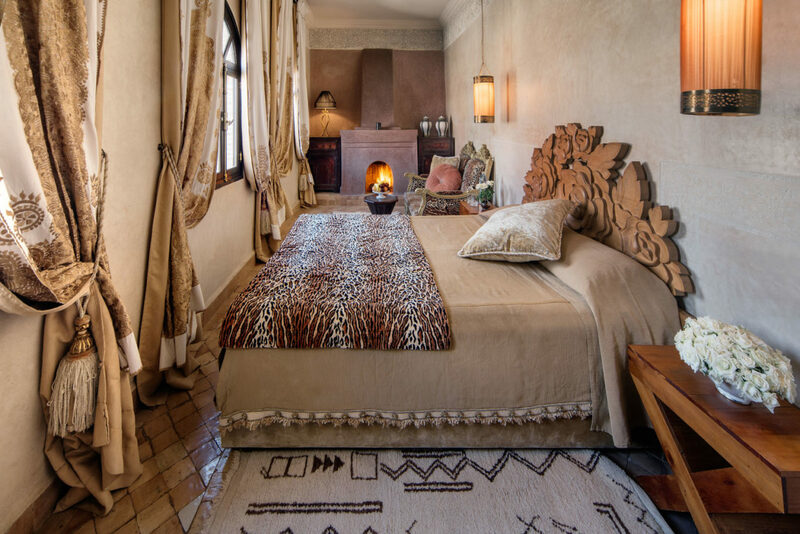 Riad Kheirredine invites you to select a room or suite as unique as your visit to Marrakech. 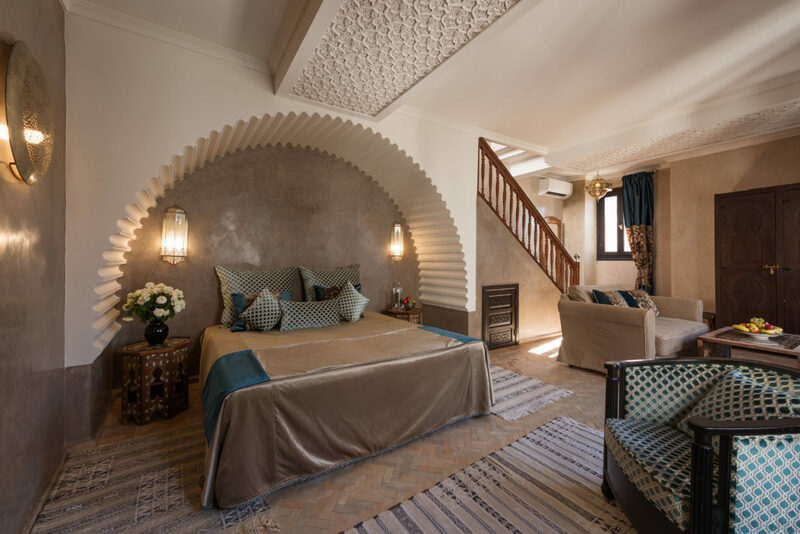 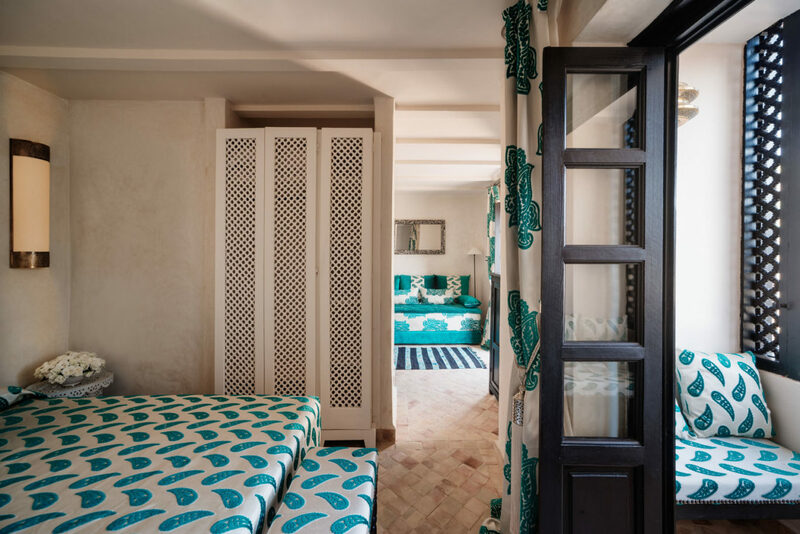 Our Junior Suites are decorated in traditional Moroccan style, for those seeking a little extra space over our Deluxe Rooms. 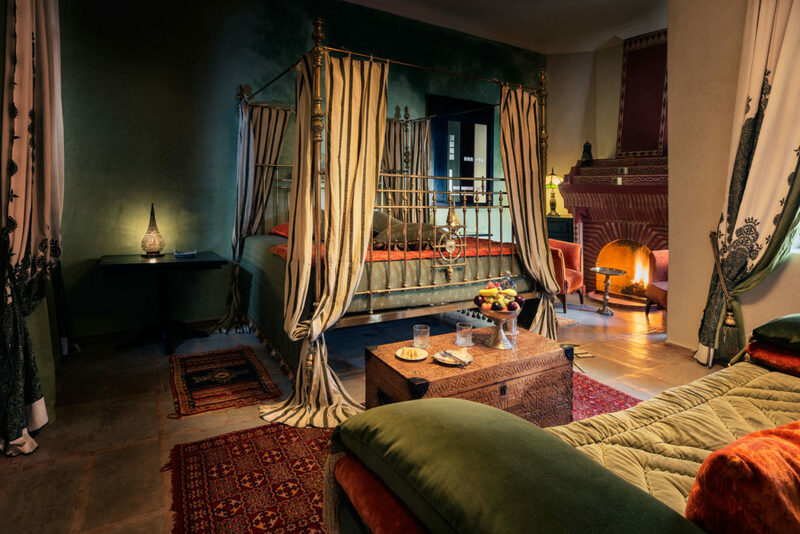 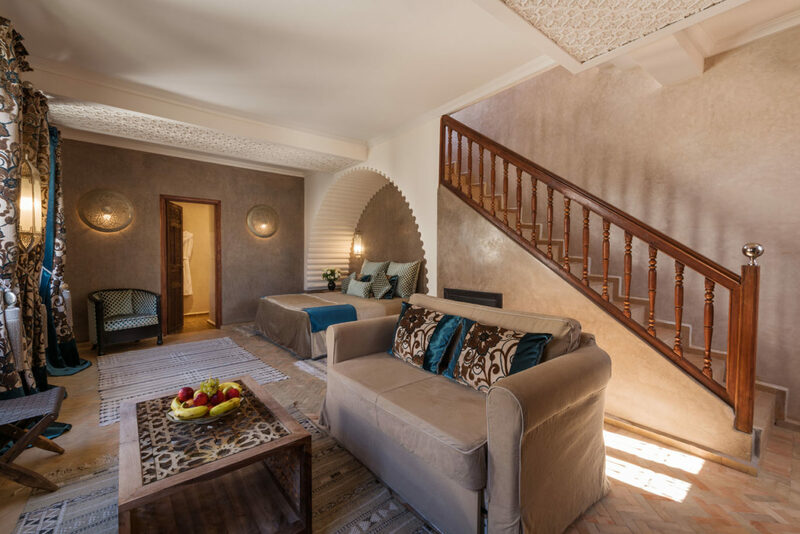 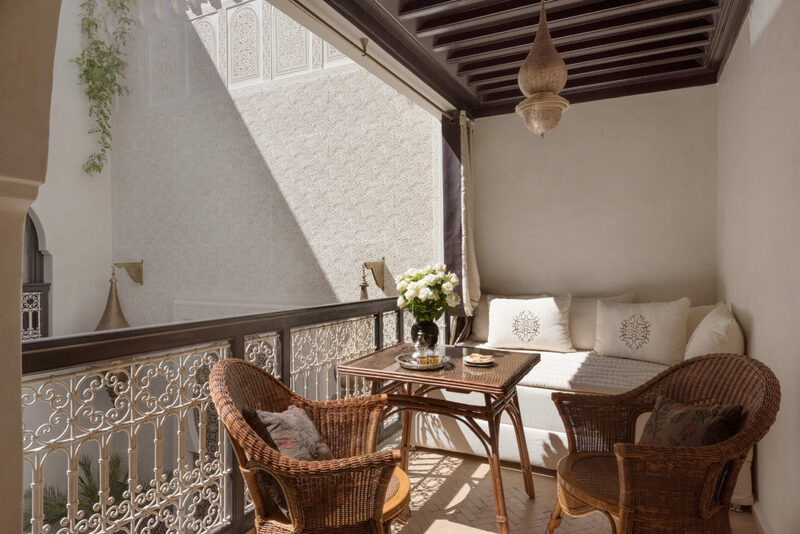 Enjoy the spacious luxury of our Imperial Suites, authentic Moroccan styling and Italian design bring a whole new level to the 5 star Riad Experience in Marrakech. 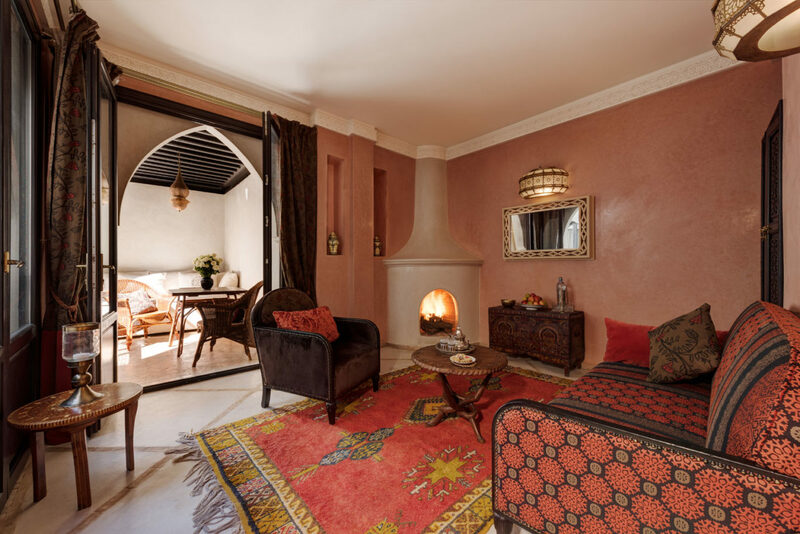 Whether it’s a cosy night in-front of your fireplace or mid afternoon lounge on your private balcony the Imperial Suite offers it all.